The new issue of Modern Patchwork is out, and my scrappy log cabin coasters are featured in the issue! You can find the issue on Interweave’s site. The issue also features some cute pillow patterns, wallets and coin pouches, and some beautiful modern quilts from their double wedding ring challenge. 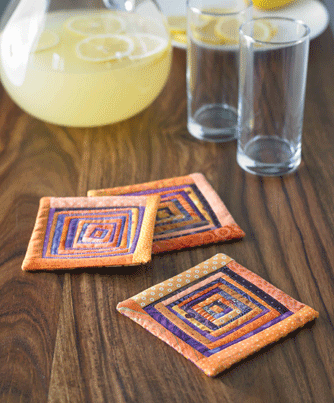 These coasters are made using liberated quilting techniques. There are a number of other names for this style of quilting – intuitive quilting, free form quilting, improv quilting, among others. I was first introduced to this style of quilting through Gwen Marston, and I also admire Jean Wells, Rayna Gillman, and the Gees Bend Quilters. Basically, rather than cut your fabric perfectly straight and sew everything at a 90° angle, you cut freeform using scissors and sew on strips at slight angles to create a slightly askew but dynamic design. If you want to learn more about liberated quilting, I would recommend Liberated Quiltmaking by Gwen Marston, Create Your Own Free Form Quilts by Rayna Gillman, and Intuitive Color & Design by Jean Wells. 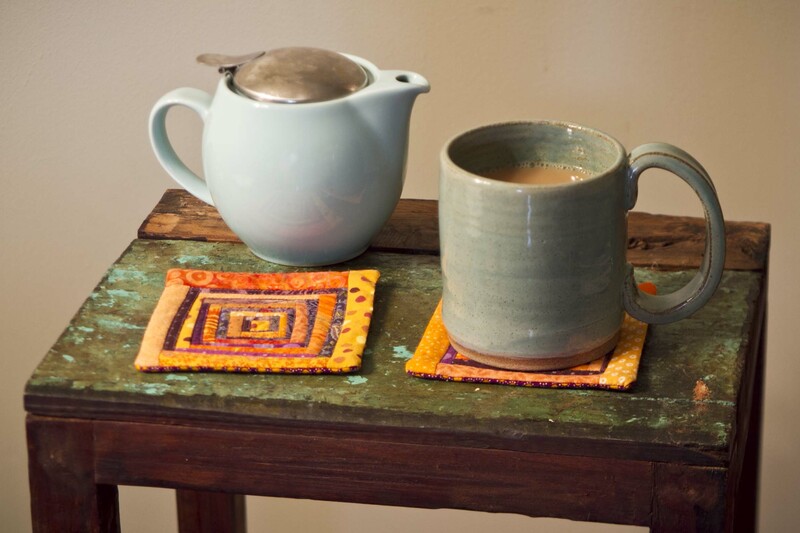 The coasters are an easy and cute project to get started and a set of 4 would make a really nice handmade gift!